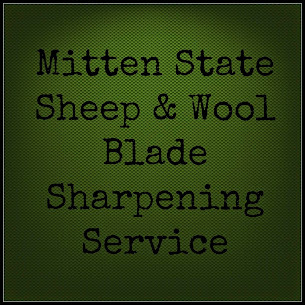 Mitten State Sheep & Wool : Knit a Hat, Check! I finally decided it was time to stop talking about it and just do it! I picked the easiest hat Pattern I could find, went to the store and picked up supplies-size 13 knitting Needles and some Lion Brand Wool-Ease Thick and Quick Yarn. 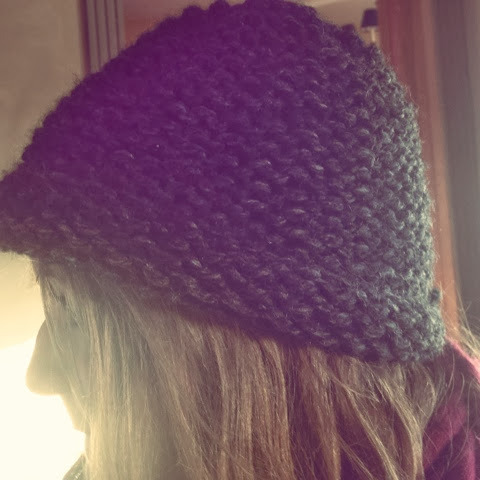 A few hours later, my very first hat! I talked one of my girls into modeling it for me. So now I can say that I have moved on from scarves and dishcloths! Who knows maybe there are knitted socks in my future, yet. Good for you. Time to learn the next thing. I haven't finished the one pair of socks I tried. It was hard to figure out five double pointed needles at once. Have you made any baby blankets? They're pretty easy. I love it!!! Socks aren't too hard, I've discovered. I've been on a sock kick recently. Now I just have to stop myself from buying more yarn before I use what I have. Hooray! Keep going! socks are fun and not hard! Yay for boggies! Socks are great...go for it!! Awesome - It looks great! And warm, which is perfect for this winter!